Get your carbs and greens done in one pan! This recipe is easy to prepare and clean up after. Its impressive looking and even more impressive in the taste department. 1. Set oven to 375 degrees. Combine olive oil, basil, oregano, minced garlic, salt and pepper in small bowl. 2. 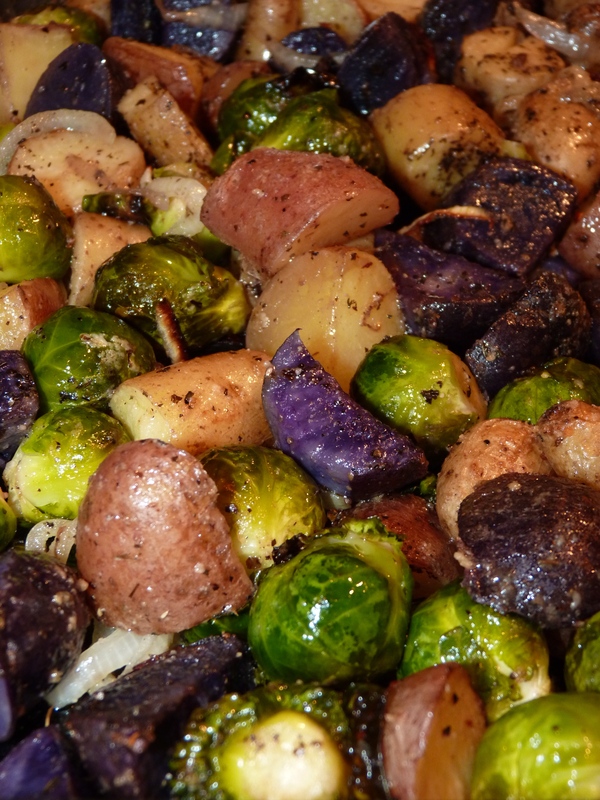 Put potatoes and brussel sprouts in a large ziplock bag and pour olive oil mix over it. Close zip lock and shake the bag throughly until brussels sprouts and potatoes are covered. 3. 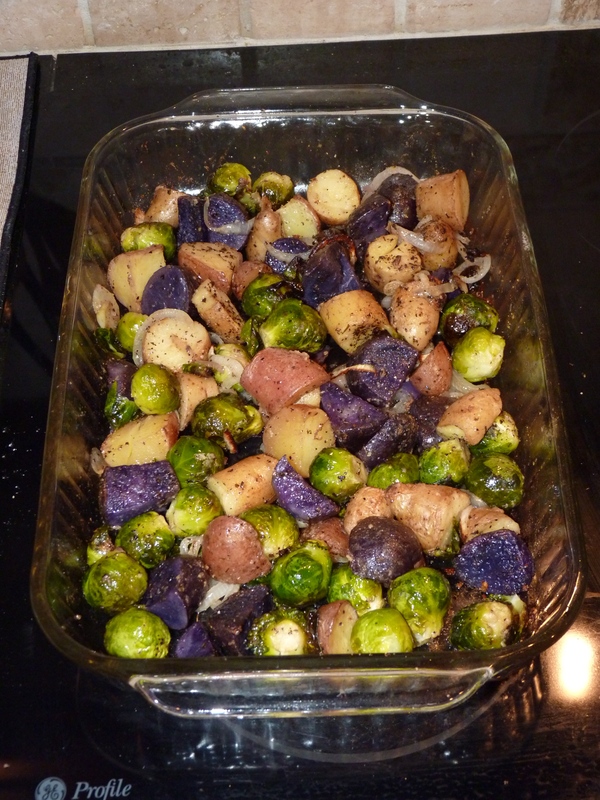 Add potato and brussels sprout mix to 9×13″ baking dish. Cover with foil and bake for 20min.